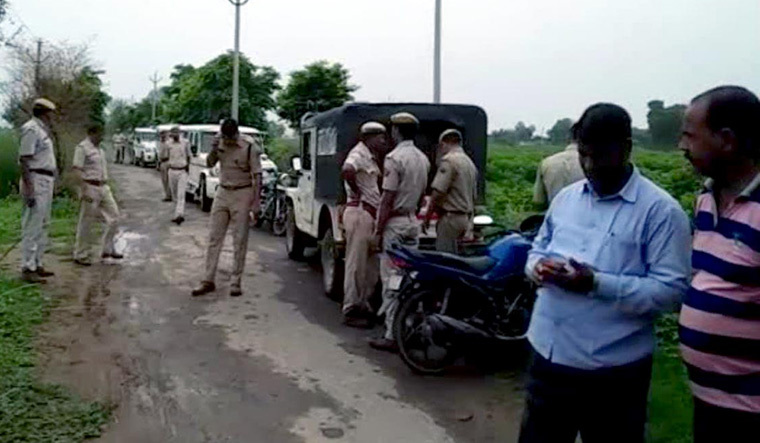 The Alwar lynching case took a new turn on Sunday, as eyewitnesses alleged foul play by the police. One of the eyewitnesses told ANI that the police stopped outside his house and thrashed and abused the victim. It has also been alleged that the police delayed in taking the victim to the hospital. However, Alwar Superintendent of Police Rajendra Singh said nothing can be ascertained before the investigation is completed. "All those guilty will be brought to justice. The police is thoroughly investigating the case," he said. 28-year-old Akbar Khan, along with his friend, was taking some cows to his village through a forest near Lalawandi area in Alwar district, when local residents allegedly thrashed him, suspecting him to be a cow smuggler. Despite being rushed to the hospital, doctors there declared Khan dead on arrival. Meanwhile, a third suspect in the lynching case was arrested on Sunday. Two others were arrested on Saturday, while police are on the lookout for the fourth suspect. Police said Naresh Singh, a resident of Lalawandi village, was arrested on Sunday. Two others, Dharmendra Yadav and Paramjeet Singh Sardar, were produced in court and remanded to five days in police custody. In a related development, the investigation into the case was handed to an officer of the rank of SP by the IG of Jaipur Range, Hemant Priyadarshy. Priyadarshy assured an impartial investigation would be carried out and no culprit would be spared or an innocent person framed.